Gardeners tuck summer bulbs deeply into the soil to produce quick-growing plants with tremendous blooming capability. Gladiolus, dahlias, calla and canna lilies add interest and beauty to the garden. Neighborhood critters often snack on bulbs since the root-like masses provide a tasty treat. Since gardeners must share garden space with critters, determining what type of animal is dining on your bulbs may be difficult. Narrowing down the suspects allows gardeners to select the best type of pest control to limit damage to summer bulbs. Squirrels make nests high in the treetops, but these animals will snack on literally any fruit, seed, nut or plant in the garden. Squirrels are notorious for digging holes in gardens to steal newly planted bulbs. Install flat pieces of chicken wire under the mulch layer to protect summer bulbs from digging by squirrels. These tiny members of the rodent family often feed on more than simply the bulb portion of the plant. Both snack on foliage and can decimate a garden in a few days. Voles and mice live under layers of leaf debris or grassy areas of the lawn. These animals often use the tunnels created by moles. Elimination, using traps or poison, offers the only option for dealing with the problem of mice or voles eating summer bulbs. Moles are prolific diggers and like to tunnel beneath garden beds. 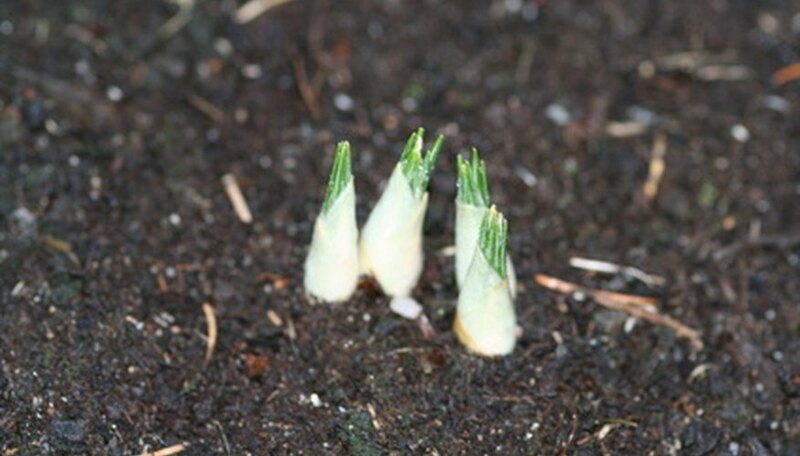 This puts them square in the path of newly planted bulbs. Soil doesn't protect root-like structures from these burrowing animals. Moles present a dilemma for gardeners because these animals provide a valuable service by eating grubs in the garden. Moles can be controlled using traps or poison. Eliminating the food source of insects, grubs and worms may encourage moles to move elsewhere. Rabbits eat most type of vegetation except plants with textured foliage or spines. A very hungry rabbit might even eat anything. Rabbits will consume both bulbs and flowers of most kinds of summer plants if given the opportunity. Restrict access using fencing or by placing fine chicken wire under the mulch layer of the garden. Rabbits burrow quite well, so limit access to the planting site in a wide area to discourage digging. These cute little woodland critters can decimate a garden in record time. Despite their tiny size, chipmunks climb, tunnel and hop their way to the tastiest food in your garden. Chipmunks prefer plant roots, fruits, nuts and bulbs. These animals create tunnels and can easily dig a bulb out of the soil right after initial planting. Control methods include repellents or traps to eliminate damage to summer bulbs and foliage.